You’ve developed your app in D, now how to get it into people’s hands? In this talk I will cover several packaging methods for your CLI or web app. One of the harder problems is how to manage dependencies, not just during development in a team where people have different operating systems, but also during deployment in the cloud or customer's environment. DUB is a great package manager for D, but does little to help you build the final deployment package. In the past I’ve created DEB and RPM packages for my D apps, but more recently I'm using Docker containers and/or NIX packages. The latter is great for managing dependencies and creating a platform-agnostic package and can also be used to create minimal Docker containers. 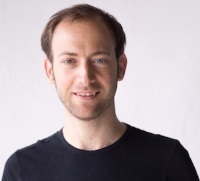 Lionello Lunesu is creator of Nounly and Co-Founder of Enuma Technologies, a hardware/software consultancy company in Hong Kong, building solutions for enterprise customers. Nounly started as a weekend project, but turned into a web app people started to rely on. To meet expectations, Nounly was ported to Vibe.D and is now hosted as an auto-scaling web service.